“We’re here to help connect individuals, groups and churches to the service opportunities that can transform our communities and our hearts,” noted its website. 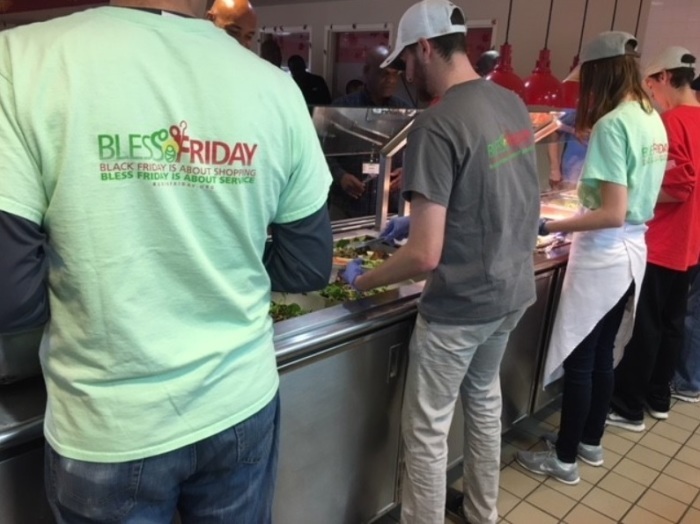 First begun in 2010, this year for the first time a Christian-owned business will be joining the churches taking part, according to Bless Friday organizer and founder Chuck Fox. In an interview with The Christian Post, Fox explained that RE/MAX Legacy Living of Richmond, Texas was going to be involved. “For the first time we are partnering with a Christian owned, small business, RE/MAX Legacy Living. Jemila and Patrick Winsey learned about Bless Friday on November 5, less than three weeks before Bless Friday, and they asked if they could participate,” explained Fox. According to Fox, Jemila Winsey has been helping with social media outreach, with her sending out promotional videos created by the Bless Friday organizers. “The quickness, professional use of social media and partnership with a business are all new. We are happy to have anyone involved who honors Christ and keeps the focus on Him at Christmas,” noted Fox. In total, ten churches are taking part in this year’s Bless Friday observance, which is an increase of two congregations from the year before. “We have ten churches participating this year – up from eight last year. We added two churches in Cotulla, Texas. Cotulla is a small town with about 3600 residents. The local Catholic Church and Church of Christ are visiting a nursing home,” Fox explained. “We feel practical pathways of giving help us combat the ease by which we can fall into the trap of greed,” Patterson told CP in 2016.